Being at the right place at the right time has never rung as true as when at the age of 42, I found out we were expecting a new baby. 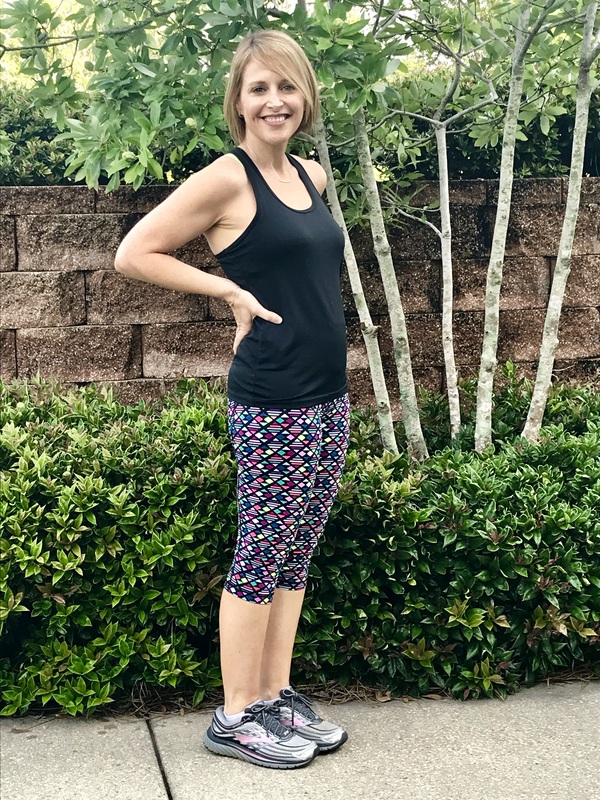 I have always been an avid exerciser, generally clean eater and overall healthy person, but because of the knowledge that my co-workers shared with me, I was probably in the best shape of my life leading into pregnancy. What I didn’t know yet was that pregnancy can be really tough on the body. My back hurt. It radiated from the shoulder to the mid-line and also along the sciatic nerve. Our physical therapists recommended using a Thera Cane to alleviate the upper shoulder quadrant pain. For the SI pain, there was a simple maneuver the therapists used to get me back in line as well as tips on how to sit at my desk and how to get in and out of the car. The best relief came from exercising in the warm water therapy pool. The therapist put weights on my ankles and gave me exercises like pendulum swings and scissor kicks. It was amazing. This treatment got me through every week at work. As a bonus, I scheduled prenatal massages on the pregnancy massage table. Lying face down with my belly supported in a sling, the massage therapist was able to properly address my aches and pains. My feet were swollen. The therapy team told me to get compression socks and full length compression hose (yuck). My OB agreed and she personally wears them daily to keep her circulation going since she is on her feet for very long days. I also continued participating in Fit for Birth, yoga, swimming and walking to help my overall circulation. At the end of the day, I put my feet up higher than my head and tried to sleep with them elevated as much as possible. At 35 weeks, I was diagnosed with cholestatis. The most apparent sign was itching…severe itching. 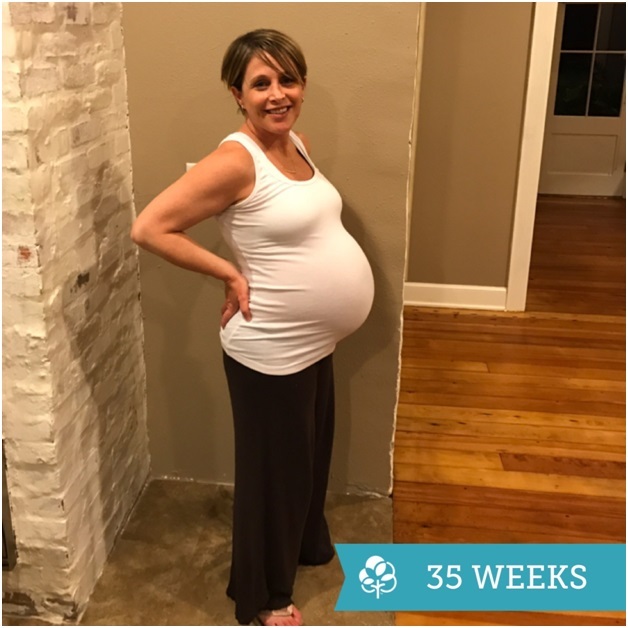 I had prepped for a natural delivery by participating in Lamaze: A Labor of Love class and Fit for Birth, but that birth plan was going to be put to the test. On the night that we entered 37 weeks, my physician called me and asked how soon I could get to the hospital. Apparently the chances of stillbirth increase dramatically at 37 weeks with cholestasis. I am so glad that the childbirth educator, Angela, told me my birth plan was just a guide and that I needed to prepare for changes. After 24 hours of labor, baby boy got stuck and was delivered via caesarian section. Postpartum preeclampsia prevented much movement for the first month, but finally I was released to exercise and I started swimming in my backyard while the baby napped. When we could get out of the house early or late to avoid the heat, I pushed the stroller through the neighborhood. Once a week, baby and I participated in the Fit after Baby class. I followed a breastfeeding diet that our registered dietitian shared with me. After three months, I was back at work and had about 15 extra pounds that I needed to lose. I did a 14-day cleanse and followed that with the Balance program clean eating method. I started doing HIIT classes in combination with my walking program. The last five pounds were stubborn, so I decided to try the Ideal Protein plan and successfully got the last few pounds off. I’ve added PiYo and yoga while continuing with HIIT and walking. Every pregnancy is different, every child a blessing and despite the crazy health problems, I would do this again and I know I can get my body back to a healthy weight. Knowledge is power and I am so thankful to the exercise specialists, dietitians, physical and occupational therapists, and others who helped me to be healthy throughout pregnancy and beyond. Give up caffeine – you don’t need it and if you are trying to get pregnant, this may just help! Keep a food diary when you are breastfeeding to know what foods affect your baby. Keep a food diary when you need to lose weight to track how much you are actually eating. I love the My Fitness Pal app. Replace your wine habit with something better for your body. Limit alcohol to once or twice a week at most. I have a decaf coffee after dinner as a treat. I never thought I would replace a daily glass of wine with coffee, but I love it now! Move! Wear a smart watch or other device to track your steps and activity. I love the FitBit Versa! It reminds me to get up and move, tracks my steps and workouts, and connects to my phone so I can see if the babysitter is texting or calling me. Massage your C-section scar early and often! I wish I had done this more. Practice getting up and down off of the floor. When you are in your last trimester, you will be glad and when you are lugging a big baby out of the bath tub, you will be super glad. Get massages regularly. Carrying a baby during and after pregnancy is a constant strain on your body. Tell your spouse to replace flowers for Valentines, Mother’s Day and your birthday with gift cards for massages! Get a good jogging stroller. Walking is a great exercise to enjoy with your baby. Sleep. It is one of the most important things you can do to keep your body working. You may be uncomfortable during pregnancy. Try drinking peppermint tea, or another approved variety. Once you have a newborn, nap when your baby naps. When your baby starts sleeping through the night, adjust your bedtime to ensure you get 8 hours before your little one wakes up.